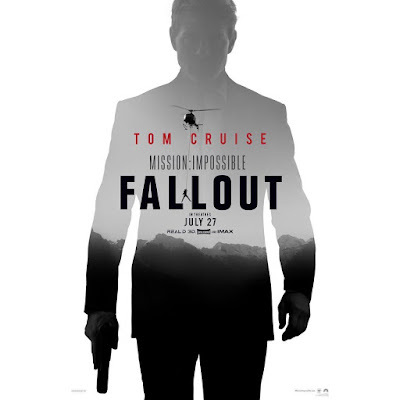 Tom Cruise does not disappoint and this sixth installment of the franchise was an exciting and adrenaline-powered action flick that carried on the story from the previous Rouge Nation which set a very high bar for the series. And like all MI films - especially ever since Simon Pegg was involved - wry comedy was peppered throughout to help elevate the mood and break the tension. However, the film ran too long at 147 minutes with scenes that dragged, that looked cool but really unnecessary, and an over-complicated plot that relied on contrivances, made little sense beyond the superficial, and - after six installments - plainly predictable despite the relentless numbers of twists.Superman's Henry Cavill was a wasted presence and Rebecca Ferguson's role more soundly reduced. This was such a fun film! It definitely had flaws (lots!) and is nowhere as good as the 2008 film, and also lacked the insane energy and chemistry of the original cast, but it was such an irresistible, feel-good crowdpleaser. 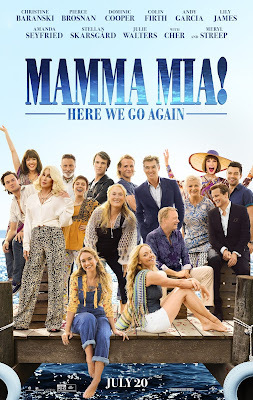 Great ABBA songs (though most of the big hits have already been used in the first film) with good actor-singers (Lilly James, Amanda Seyfried and Hugh Skinner), kitschy choreography, a touch of sappiness and rom-com hijinks, Cher!, Meryl!, and just a general feeling of happiness and that all is right in the world. Pure escapism entertainment. All these despite the very obvious cheap sets/production values, a lack of a real plot per se - more like a collection of vignettes stitched together for 114 minutes - and Cher just phoning it in and blatantly edited into the scenes (but god-damn it! It's Cher). 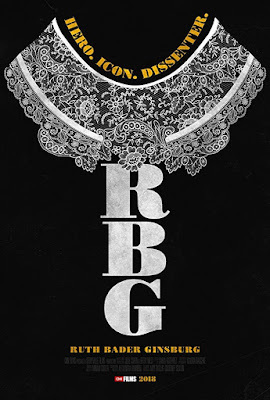 Ruth Bader Ginsburg aka The Notorious RBG is a fascinating person, and if you were already on her side this documentary will surely reinforce the positive opinions of her: a feminist, a liberal, a dissenter, an equal-rights hero, a survivor and a democrat. However, if you never did support her nomination and/or political believes, then RBG will also do nothing to change your mind. As well made, and as riveting, as Judge Ginsburg's life is made out to be, this documentary failed to give a balance view of her. It did not show what the republicans not like about her and whether they had grounds in their believes. This film is not going to pass the Bechdel Test, but at least it had no illusion of doing so. 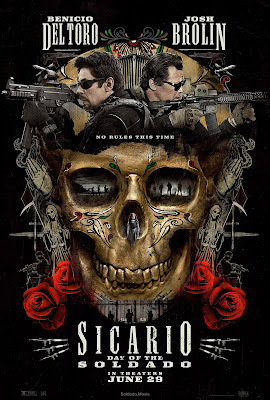 Ultimately, this surprisingly topical sequel is a summer escapism that hung its allure on two brooding, macho leads speaking very little and doing very violent things. And if you go in not expecting anymore than that, then director Stefano Sollima and cinematographer Dariusz Wolski capably carried the mantel over from Dennis Villeneuve and Roger Deakins, respectively, to tell Taylor Sheridan's modern-western/mexican epic. Sheridan, for all his faults in writing female characters, is a good writer for the male psyche and daftly managed to topically tie in the story with the current political mess. And the universe that he had created would not be out of place now as a prestige television series. Even the way the story is structured seemed suitable for an event series. 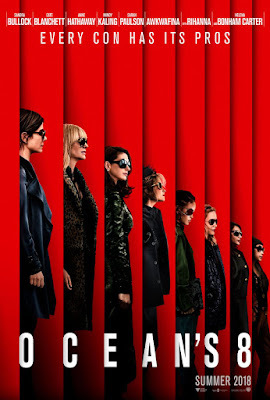 This film ain't like the Steven Soderbergh/Clooney and Pitt franchise and it was not because of the ladies, but rather the execution. It lacked the fun - the joie de vivre - and the chemistry of the boys and the kinetic energy and mischievous style of Soderbergh and co. It seemed that the cast of this film was picked more for their diversity - white, black, asian, lesbian, british, american, australian - rather than their ability to be cohesive as an unit. Writer/Directory Gary Ross and co-writer Olivia Milch did a competent job but the heist lacked danger or even the risk of failure, and the eventual outcome was an exercise in motion rather than a stylish-executed caper. A terrific horror movie in the vein of The Witch, It Followsand Babadook. 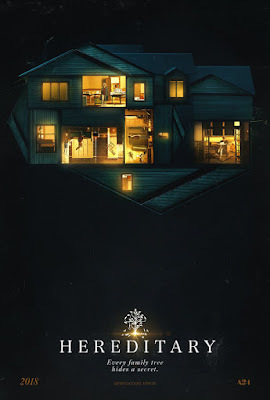 A tense vibe throughout with writer/director Ari Aster focusing on mood, atmosphere and music to ratchet up the suspense and horror, and coupled with a phenomenal performance from Toni Collette and the two younger stars: the surprisingly emotional Alex Wolff and creepily innocent Milly Shapiro. Also, pleasantly, the story progressed unexpectedly with some really good unpredictable turns. There were scares peppered throughout but the best thing about this film was how untypical the scares came along. Aster smartly introduced the elements subtly and never bludgeoned the audience with scare jumps or quick cuts. He teases all the senses, making you doubt what you have seen and heard, and then when it hits you, the scene is over and you are left with a lingering doubt of fear. Brilliant. 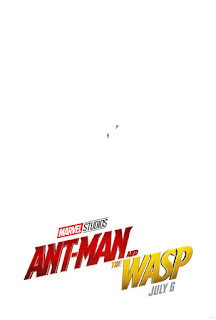 This film is unlike any other previous MCU films and that is a double-edged sword for the audiences, it was more of a straight-up action-comedy rather than an action-comedic superhero film. For one there was no clear villain and the characters that served as the main antagonists were so badly written and fleshed out that they were really just time-fillers for the A-plot. Regardless, AM&TW was an enjoyable film albeit its predictability, lack of emotional complexity (or even plot-complexity) and absence of any conflict of worth. But where it succeed was in its actors - the effortless charisma and easy chemistry of both Paul Rudd and Evangeline Lily - and the comedic chops of its supporting cast, especially Michael Peña, and Judy Greer, Bobby Canavale and Randall Park. It was fun watching the cast interact and that helped the 118 minutes move along.